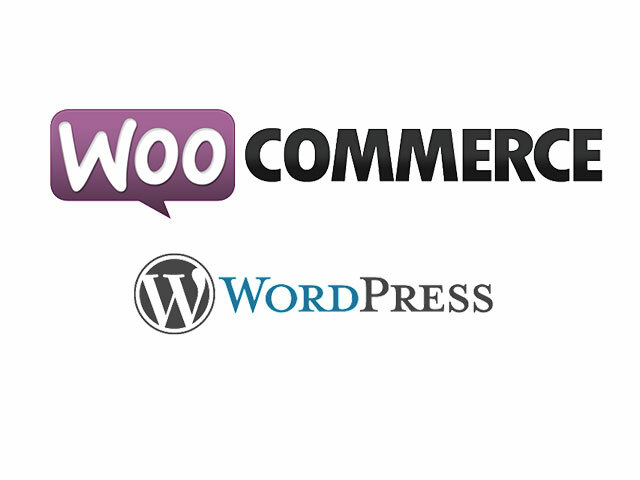 Best Free Garden WooCommerce WordPress theme builds with Genesis Framework, shopping cart supported by WooCommerce 3.x, Responsive Layout, Easy to Customize! The Garden WordPress Theme will help you to build a bespoke site that is visually appealing and highly professional. 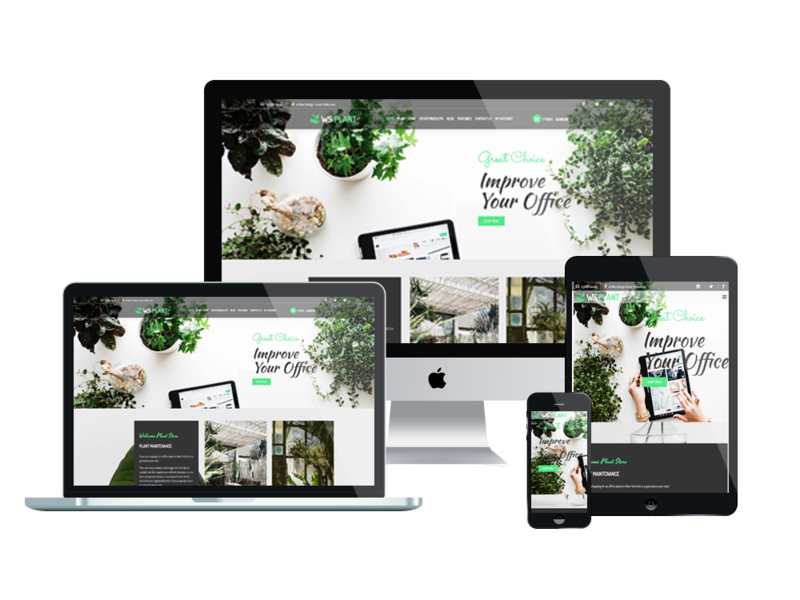 WS Plant is a modern and responsive WooCommerce WordPress theme which is developed for indoor plants, house plants or office plants shop. Besides, you’ll benefit from a range of widgets and modules available via your personal CMS Panel. The gallery feature will enable you to display your product and work that you’ve already undertaken, given potential customers a good idea of your skills and capability. If you have already built a brand identity, then you will be able to transfer this to your website by changing colors to create a site that matches your business. 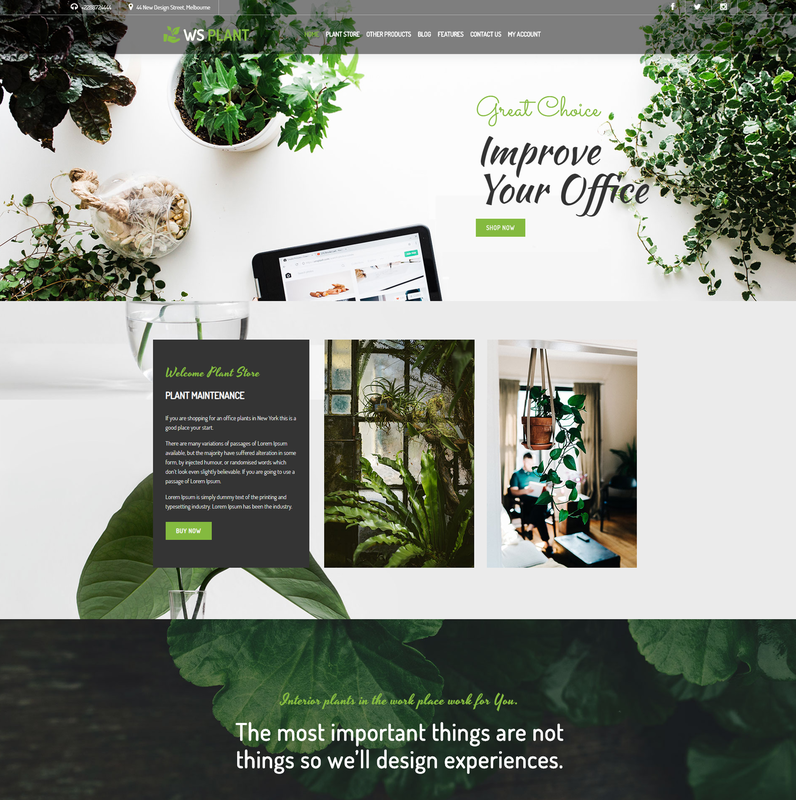 The Plant Website Template for indoor plants online is completely responsive and supports cross-browser compatibility combining dynamic and modern elements like smooth animation and Parallax effect in all types of formats. 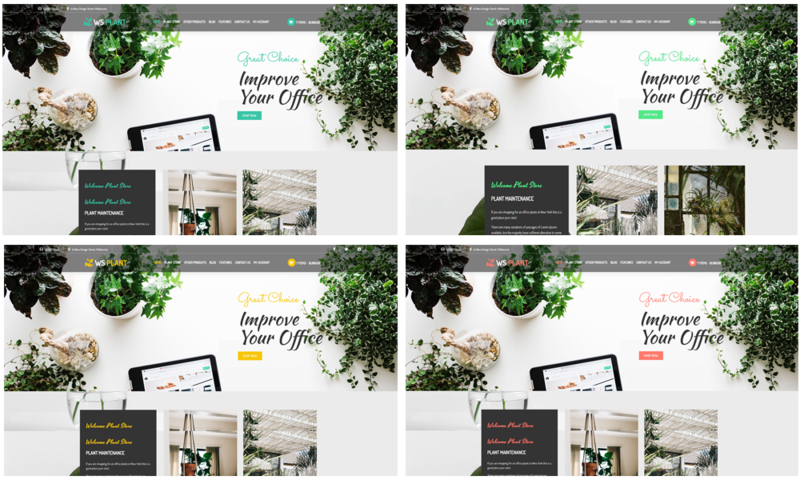 With all that our Garden WordPress Theme offer you, including the dedicated support service, you really can have a great website that increases your business and broadens your reputation.